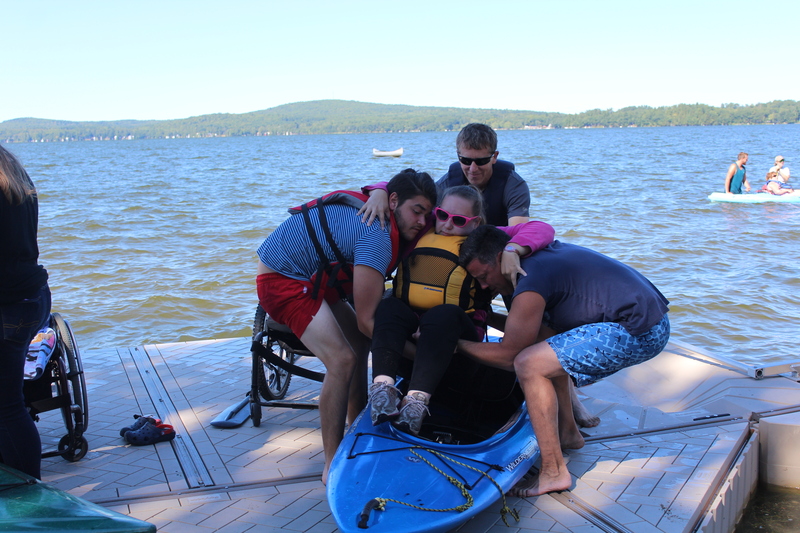 The Adaptive Outdoor Education Center and Pine Tree Camp collaborated this weekend to bring all people with varying abilities a weekend full of adaptive water sports, beach fun, and a memorable camp experience. Bruce Albiston, founder of the Adaptive Outdoor Education Center and former Pine Tree Society board member, said this was their biggest group yet. Campers of this weekend’s Adaptive Water Sports Camp enjoyed paddleboards, kayaks and canoes, and pontoon boat rides. This year was the first waterskiing was available. “We never have trouble finding volunteers. We just continue to grow,” Albiston added. To learn more about the Adaptive Outdoor Education Center and the programs they offer visit their website. 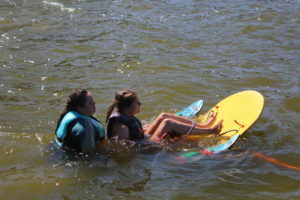 Pine Tree Camp offers our fully accessible facilities for retreats, meetings, conferences and special programming. Learn more here.